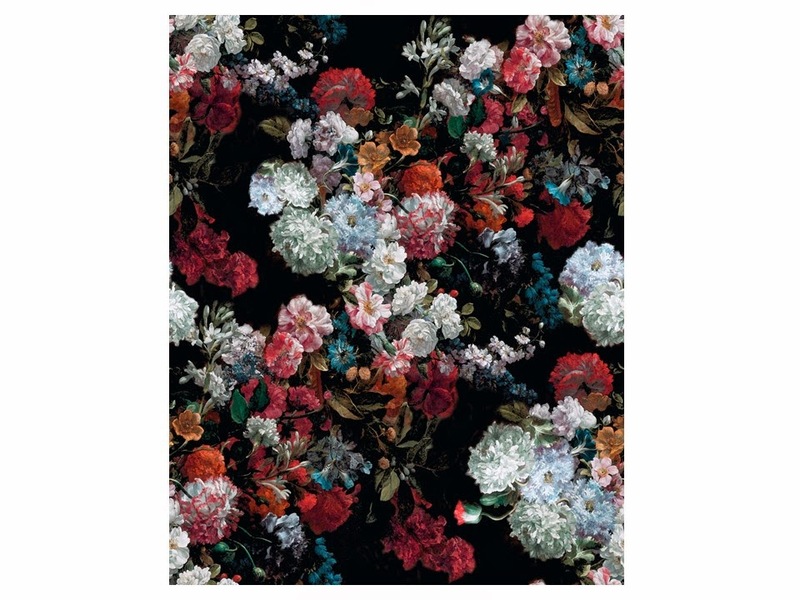 Turns out that this beautiful thing is from Rosablue, who prints her own fabrics. This fabric is currently available as an extra-large toiletries bag in cotton velvet, with a waterproof lining. Mmmmm…. As a woman in search of a red duffle coat, I’m drawn to all red coats right now, so that seemed a reasonable place to start. In my mind, the person in this vignette is heading out of town for a day of two of business meetings in which the people being visited have to do the impressing – her job is just to sit quietly and evaluate critically everything that is put before her. So her look is a bit serious, conservative, and elegantly in charge. But despite her “in-charge” situation, she’s going to channel a bit of that floral image through her ensembles. For travel, she dresses simply, but adds on floral earrings, a scarf with a small flower print, and a clutch with a geometric image that might feel flower-like. A dress cuts into the number of options that you have – maybe your dress would work under a different blazer, or you could pair a dress with a cardigan. But for this woman, three options is quite enough; nobody is going to point out that she’s wearing something more than once! I am, however, truly impressed how some people can put colors together and create a work of art. Your start with art and start with a scarf series truly have opened my eyes to see more keenly. But I still want that life! I love these posts because they are like mini glimpses into someone else's life (and suitcase). I can just imagine her sailing serenely through the airport too – you are an expert storyteller, both in words and wardrobes. My new favorite pastime — little vignettes, suitably dressed. What fun! Oh my…I love this! You have just flooded my mind with inspiration…thanks Janice! Janice, I cannot for the life of me figure out how to contact you, other than through G+ (which I am trying to resist). I am sure I am missing a very obvious piece of information, but it would be lovely if you could let us know! I found it as a toiletries bag – http://rosabluemobile.moonfruit.com and the seller has a tumbler where she posts the pattern http://thefabricpress.tumblr.com/tagged/rosablue. Apparently she prints cotton. Interesting! I have a red Gloverall duffle coat that I got in the men's department of a small clothing store years ago. I love it. Not sure what I like most about this post–the clothes or the prose! Now, if only I were an important business woman. These colors are beautiful and timeless..! I love the use of floral motifs. Like you said, floral but not delicate or demure. Love that fabric!!!! Wish we could buy yardage for quilting, would be a perfect border. I love this color scheme–but is it my screen display, or do I not see any of the blue in your selections?